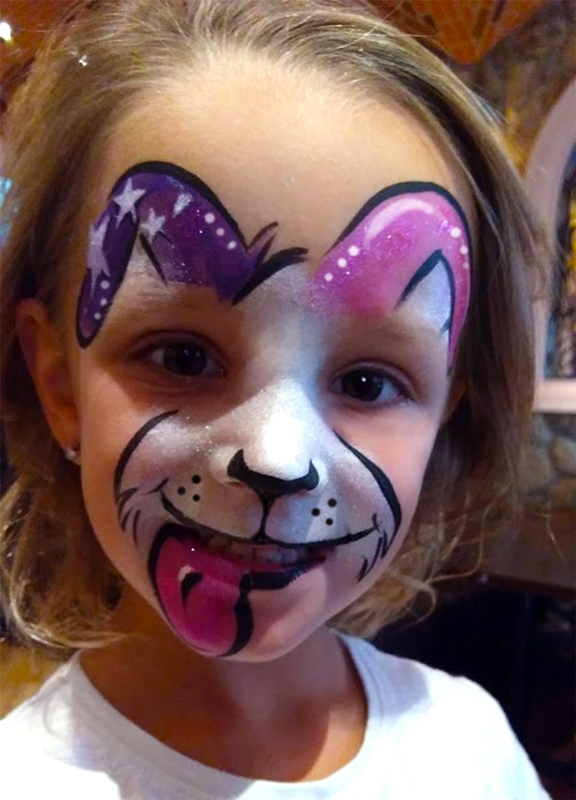 Of course she wanted to be a pink and purple dog. I’ve taken to painting at the El Rancho Nuevo Restaurants in the Cincinnati area. It was a delight to run into an older client, and get to meet their new additions to the family. This entry was posted in Recent Events on September 26, 2017 by Joyce.